It’s Monday again! In this week’s episode we’re in one of the most populous cities on Earth, Mexico City! We head to a very busy market for a food tour with Eat Mexico where they show us around and teach us the history and the method of cooking some of the country’s most unique dishes. 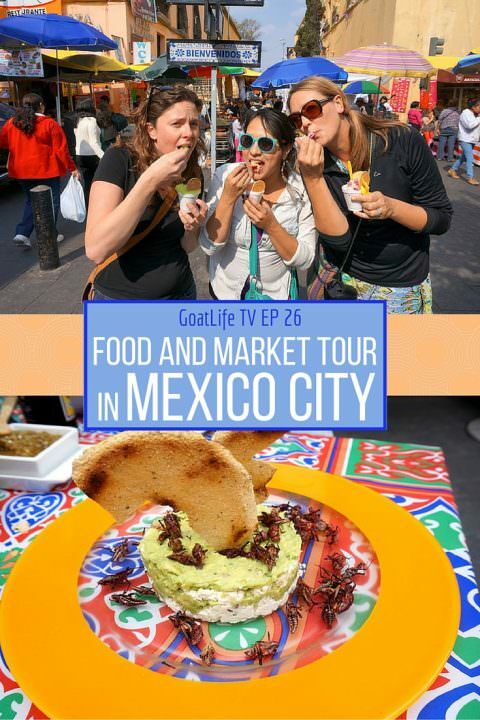 To book your own food tour Check Out Eat Mexico! Oh no!! Stay warm over there 🙂 Just think about Mexico! haha. Thanks for the comment on the video, the tour was awesome. Good stuff. I just watched it with my boys and they were totally grossed out at some of that food.